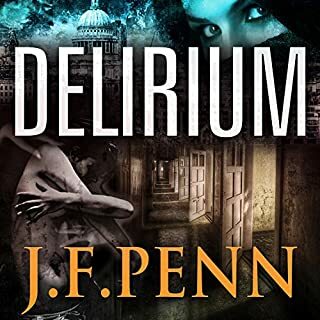 Where does Delirium rank among all the audiobooks you’ve listened to so far? This is one of my top audiobooks in the thriller genre. I was on the edge of my seat from the moment of Dr Christian Monro is murdered. 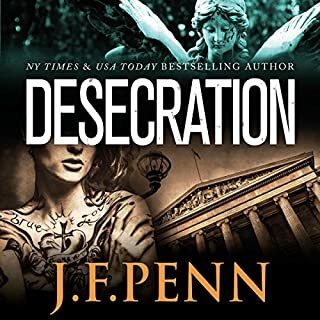 It was a wonderfully weaved story that brought mental health issues to the fore and built on the story of Detective Sergent Jamie Brooke from Desecration. Blake Daniels is still my favourite character because he is a reluctant psychic and the death of his father was touching despite the painful history there. The mystery of his father and the distant yet deeply loving relationship he has with is mother were beautiful to me. I was so worried about him when he was kidnapped and well, I can't reveal what happens to him. All I am glad about is that Detective Sergent Jamie Brooke overcame of vulnerabilities and listened to her own intuition and went to him in his time of greatest need. I think that Rosalind Ashford brings a sense of authenticity to the London Psychic series and the characters become realistic in my mind from the way that she narrates and acts the story for the listener. Her use of tone and pace help bring this story to life in a way that I wouldn't necessarily experience if I were to read the book myself. No. I listened to this book over a five day period. I enjoyed taking my time listening to the chapters that I could while I was in the car or on the train going to and from work. This book took me out of my daily life experiences and put me in a world of mystery, thrills and psychic chills. J.F. Penn is a fantastic thriller author and definitely improving her writing craft with each and every book in the series. Would you consider the audio edition of The Last Survivors to be better than the print version? I don't know if the audio is better than the print version as I have only listened to the audio book. But WOW what a fantastic story. I loved it. I hung off every word that Sean Runnette voice acted out the whole way through. Oliver was my favourite character because he had a natural curiosity and used it to irritate the Bishop Winthrop. I loved his inability to not ask questions that would call the Bishop's views of the 'word' into question. He's an awesome character and I can't wait to find out what happens to him in the next book. Sean Runnette brought every character to life in a way that made them true individuals in my imagination. But if I had to pick one character that Sean Runnette performed as my favourite, it would be Minister Beck. Sean Runnette brought Beck's impatience, irritation and mocking of Father Winthrop into sharp focus. I loved the story and the way Sean Runnette voice acted the characters. Some where loving, some were nasty and cold and some were scary. It was fantastic to hear how Sean Runnette changed his voice to create light and shadow in the characters. Yes, the scene where Ella and William drag Bray's body back into the cave after the altercation with the soldiers. And the fear that they experience (and I did too while listening) of the monsters outside the cave devouring the slain soldiers. That was one freaky scene that had me on the edge of my seat and totally absorbed in the audiobook.There were other scenes that evoked a strong reaction from me too but this scene was the nail-bitter for me. I can't wait for the second book to come out. I'll be looking for it. 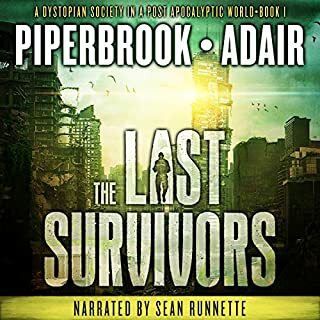 Listening to this book, The Last Survivors, took me away from my world as I traveled to and from work on public transport. I was with Ella and William, Oliver and Franklin. I felt the humiliation of the women as they were cleansed and hated General Blackthorn for what he did to Ella's family and friends. The backstory that drip feeds through the book is intriguing as I learned about the history of how they came to be where they are as a society and the intricate weaving of the social and cultural fabric was brilliant.I thoroughly enjoyed listening to The Last Survivors. I am the perfect audience for a character driven, action packed dystopian story with a hint of science fiction and fantasy thrown in. Great work!